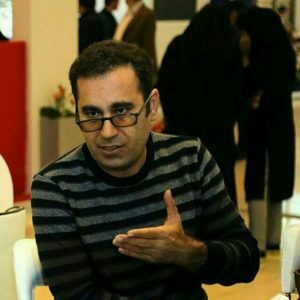 Our campaign in support of jailed Iranian teacher trade unionist Mohammed Habibi has now broken through the 10,000 barrier and as of this morning, we have 10,258 signed up. This is largely due to the translation into German which came in this week. The fact that we have reached 10,000 — and it’s been a while since we had a campaign this big — was publicised widely on social media. In an attempt to boost support for what is clearly a campaign that has captured the imagination of trade unionists, we wrote to our volunteer translators in five major languages in which the campaign has not yet appeared — Dutch, Farsi, Finnish, Swedish, and Korean. The Dutch version was swiftly translated; but our Finnish translator no longer has the time. We haven’t heard back yet from the others. So we wrote to the 459 Finns on our English language mailing list to ask for volunteers, and 4 people stepped forward. We hope the two active campaigns (Iran, Russia) will appear very soon in Finnish, as our Finnish language mailing list has not been active for seven months — and we have over 600 people on that list. eSwatini (formerly Swaziland): We shared the ITUC statement on anti-union repression widely on social media. France: With the approval of the ITF, we closed our campaign in support of railway workers last week; the campaign had 7,201 supporters and was online longer than most, for just over 4 months. Global: We promoted the ITUC story about the October 7 World Day for Decent Work as a top global news story and to social media – but cannot post, for some reason, to our main Facebook page at the moment. Russia: Our campaign in support of Professor Maxim Balashov continues — it’s one of only two active campaigns at the moment — and currently has 9,307 supporters. With some further pushes from us, this too can be a 10,000 supporter campaign. Somalia: We’re following up with our contact here, with suggestions how to build a new trade union movement in the country, starting with contacts with global unions. Donations: We received cheques recently from two branches of a major British trade union. Also, both the Education International and IndustriALL have pledged donations this week. Mailing lists: We added just 5 new subscribers to our German list this week. We publicised the MailChimp signup form on Facebook, Twitter and LinkedIn, as we do regularly. You’re forgetting that the campaign in support of Mohammed Habibi is also the first to go over the thousand mark in French. Absolutely — a fantastic achievement!